Fincantieri can be said to have come into its own as a fully fledged national concern in the nineteenth century but its history may indeed be traced back even further to the ship-building traditions of the various states around the peninsula before Italian unification. In 1939 the former Royal Shipyards underwent radical restructuring according to I.R.I. guidelines. 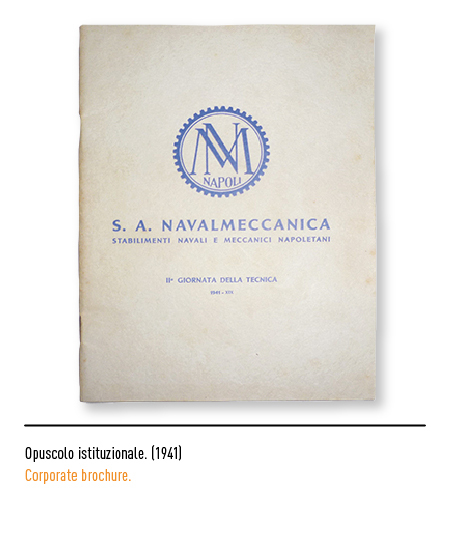 After thorough modernisation of all plant facilities the company was transferred to a private owner, Navalmeccanica. 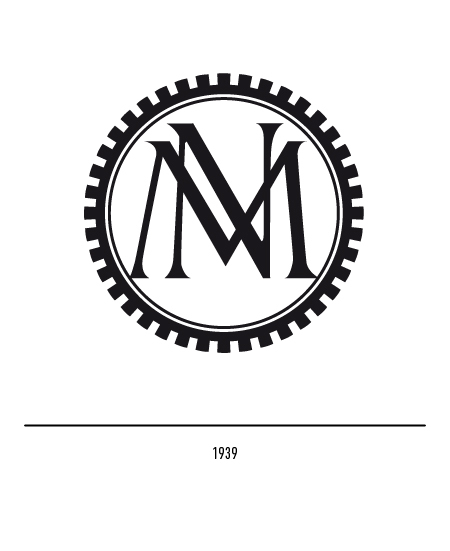 Its trade-mark was typical in style of the Fascist era displaying a notched wheel and the imposing intertwined letters "N" and "M". 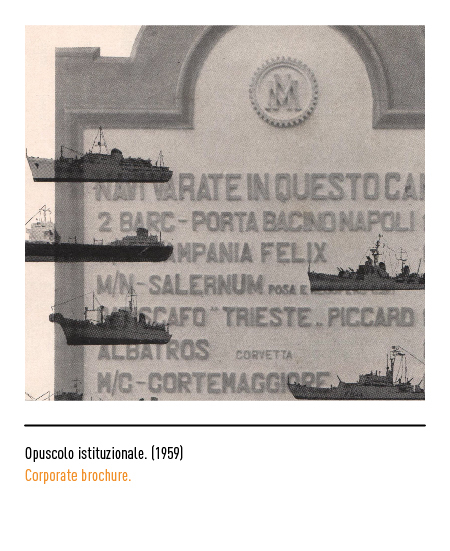 Merchant maritime policy in the sixties led to a deep crises in the Italian ship-building industry, mainly because of a lack of competition. The crisis was on the way to becoming irreversible when the State stepped in. 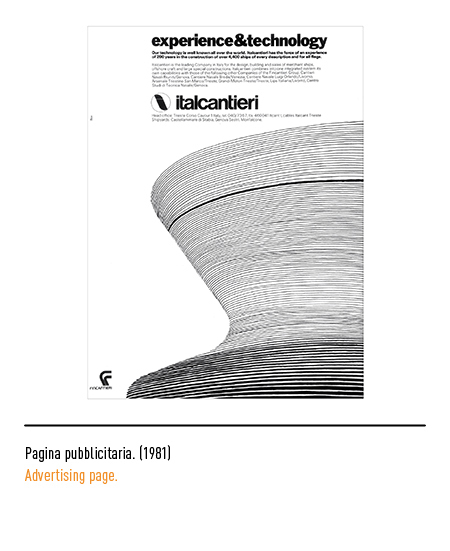 In 1966 a rescue operation by the Inter-ministerial Economic Planning Committee (CIPE) led to the establishment of a Italcantieri. The three traditional shipyards of the Italian ship-building industry, namely Monfalcone near Trieste, Genoa, and Castellammare di Stabia near Naples, were thus reunited under a single management. 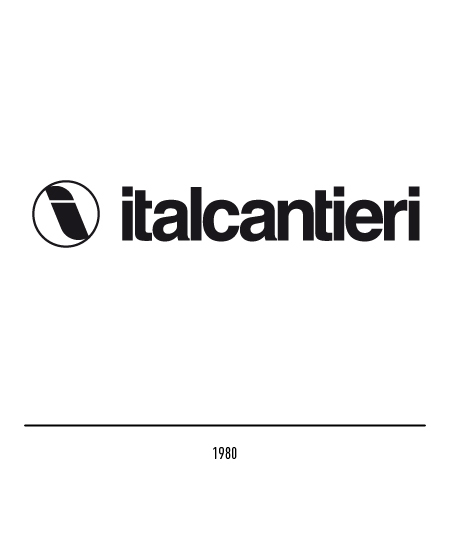 The trade-mark with the tilting lower case "i" reminiscent of a ship's bow and slightly modified Helvetica-style lettering was designed by Paolo Bon in 1980. But the following year a new company called "Fincantieri Finanziaria" was set up to provide the necessary funding for the restructuring of the main Italian shipyards in response to a worldwide slump in demand. 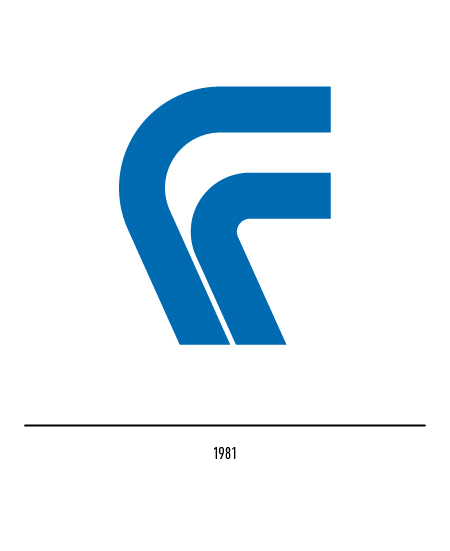 The trade-mark of the company consisted of two curvilinear "F's" also reminiscent of a ship's bow. 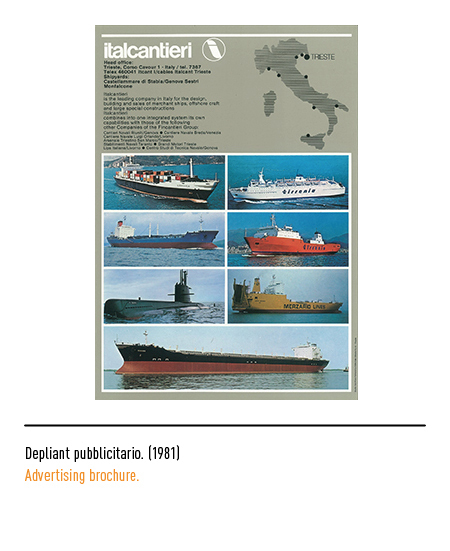 In 1983 the Trieste-based finance company changed its name to "Fincantieri, Cantieri Navali Italiani" directly taking over the ship-building activity without, however, changing its trade-mark. In 2010 the company leaves behind the ship-shaped F and decides to implement only the logotype sided by blue toned underlining and the pay off "The sea ahead". 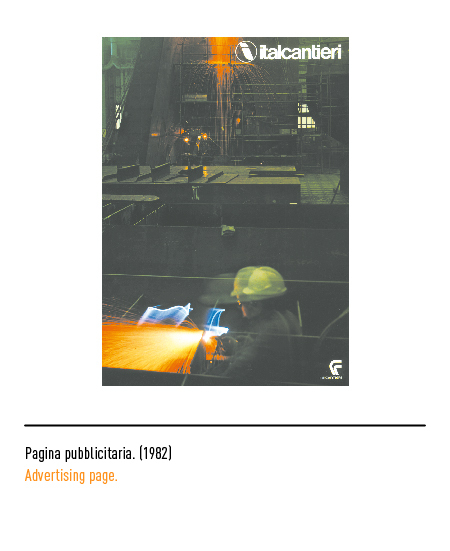 Catello Vanacore,Bianca d’Antonio, IL CANTIERE NAVALE DI CASTELLAMMARE DI STABIA, Eidos Nicola Longobardi Editore, Castellammare di Stabia, 1995. 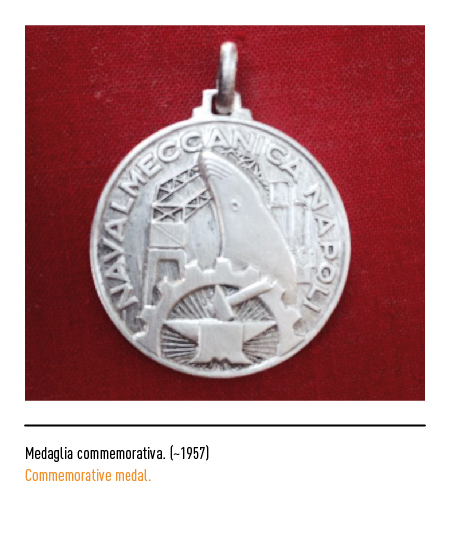 Opuscolo della mostra “Ansaldo industria & società: aspetti dell’industria metalmeccanica napoletana dell’Ottocento ad oggi”, Archivio Storico Ansaldo, 1978.